Being a vampire is serious business. If there’s not an ornate castle to stalk, there’s a millennia-spanning conflict to be fought or a love triangle to brood over. 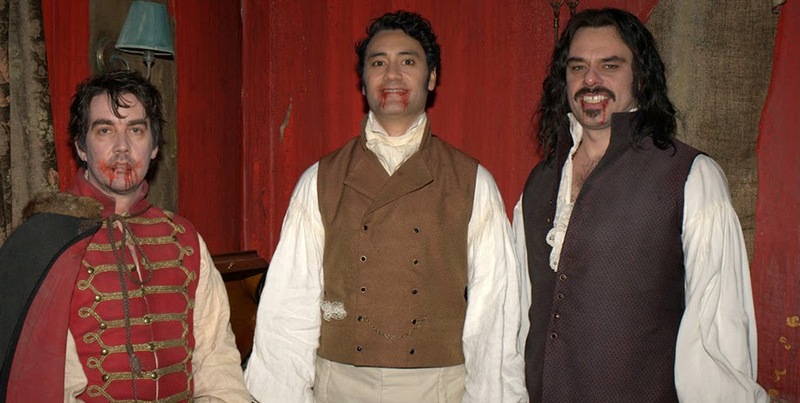 And so it’s rare that we see a lighter side to these mythical beings, never mind a side as all-out silly as What We Do In The Shadows, a mockumentary from New Zealand filmmaker Taika Waititi and Flight of the Conchords’ Jemaine Clement. Best summed up as This Is Spinal Tap meets Only Lovers Left Alive, Clement and Waititi follow a group of house-sharing vampires through their everyday life as well as their supernatural machinations – they spend as much time arguing over who does the dishes as they do sucking blood. While it is endearing to watch how these experiences help the characters adapt to the twenty-first century, the film’s one weakness is perhaps its narrative structure – the overly everyday presentation leaves it without a particularly dramatic climax. But that is hardly a problem, because WWDITS is funny. Really, really funny. Best illustrated by a scene in which Viago prepares to bite into a victim’s neck by putting down newspaper sheets so as to avoid staining the floor, this film has an intense understanding of both horror conventions and social norms and is relentless in its parody of them. I was lucky enough to see What We Do In The Shadows at Grimmfest 2014. It has a proper UK cinema release on 21st November - be sure not to miss it!